But we did not forget the main reason for being there: attend the visitors of our booth, this year coming from: Austria, Belgium, Bosnia and Herzegovina, Bulgaria, Croatia, Czech Republic, France, Hungary, Italy, Japan, Lithuania, Netherlands, Romania, Spain, Slovenia, Sweden, Switzerland, UAE, United Kingdom, USA, ... and, of course, Germany, the host country of the show. The winner of the drawing for a free annual membership was S58ZOR. ¡Congratulations! 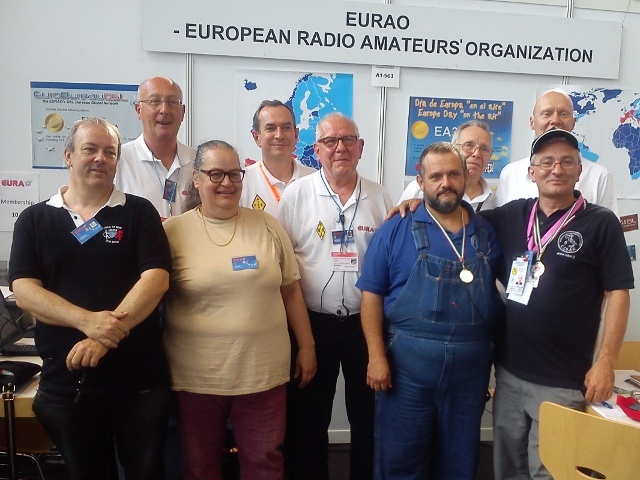 On the other hand, the EURAO Award check point in the fair validated a lot of QSL cards of S58MU and ON4PM, who achieved the Silver category. Let's go for the Gold, guys! On September 27, 2014, 9:00-11:00 CEST, the first exercise of this kind at European level will be held. 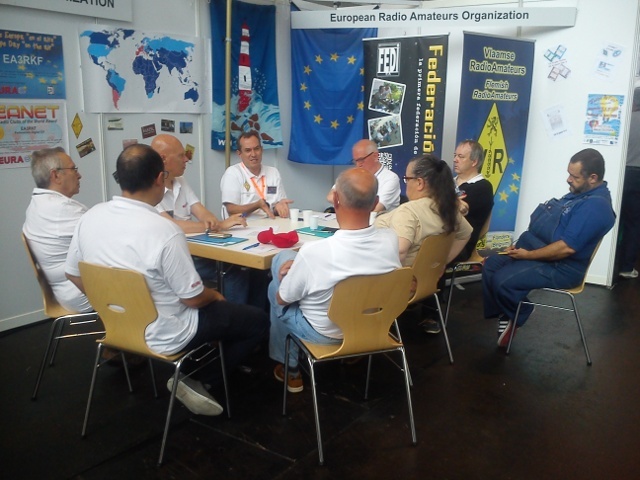 This was one of the projects discussed by EURAO members at Friedrichshafen, and it will be carried out with the support of associations in several countries. Some of the EECE challenges are: to establish a human communications network of two levels: one national and another one international, to define operating procedures, to test its reliability, the operators skills and deployment time. This award has been set up as a tribute to lighthouse keepers, either in mid-ocean or isolated islands. Since the automation of most of these lighthouses, their keepers are, in the main, no longer required, but their long-standing contribution cannot be denied. 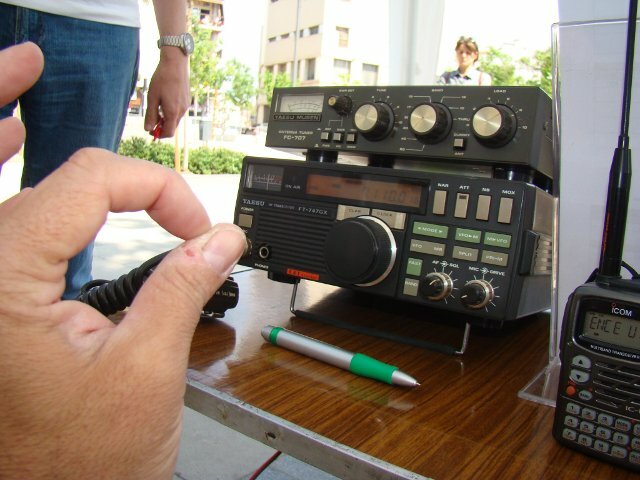 With this in mind, WLOTA has been developed to encourage amateur radio operations from these remote locations. This is an idea of F5SKJ and F5OGG, with the enthusiastic support of URC and EURAO. On November 9, from 08:00 to 12:00 UTC, it will be held the forth edition of the "sprint contest" version of the same name Award, devoted to the "Radio Clubs of the World". 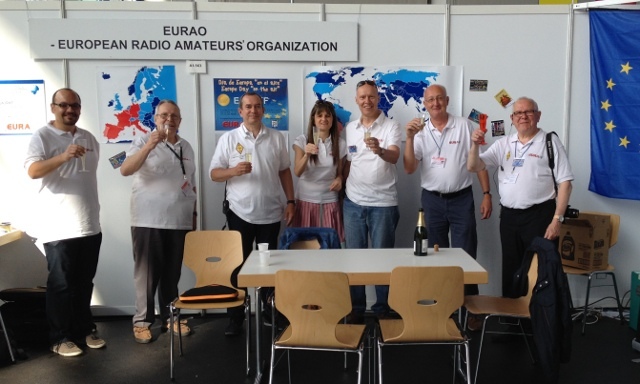 EURAO team at HAM RADIO 2014.